Notch is a wearable motion capture system for smartphones. 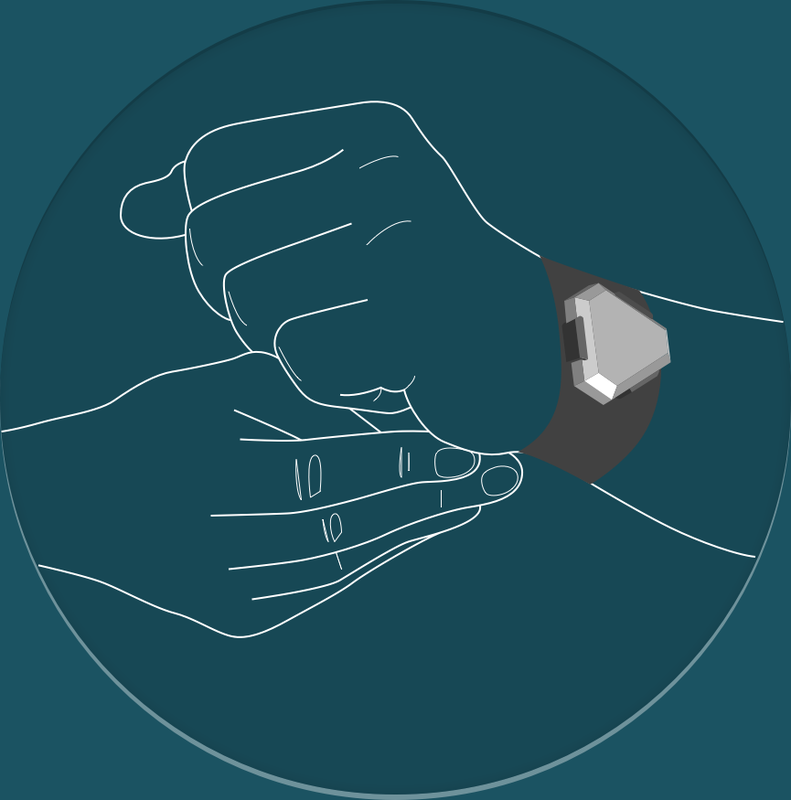 Notch sensors, or simply notches, are one of the most advanced wearable motion sensors available today. 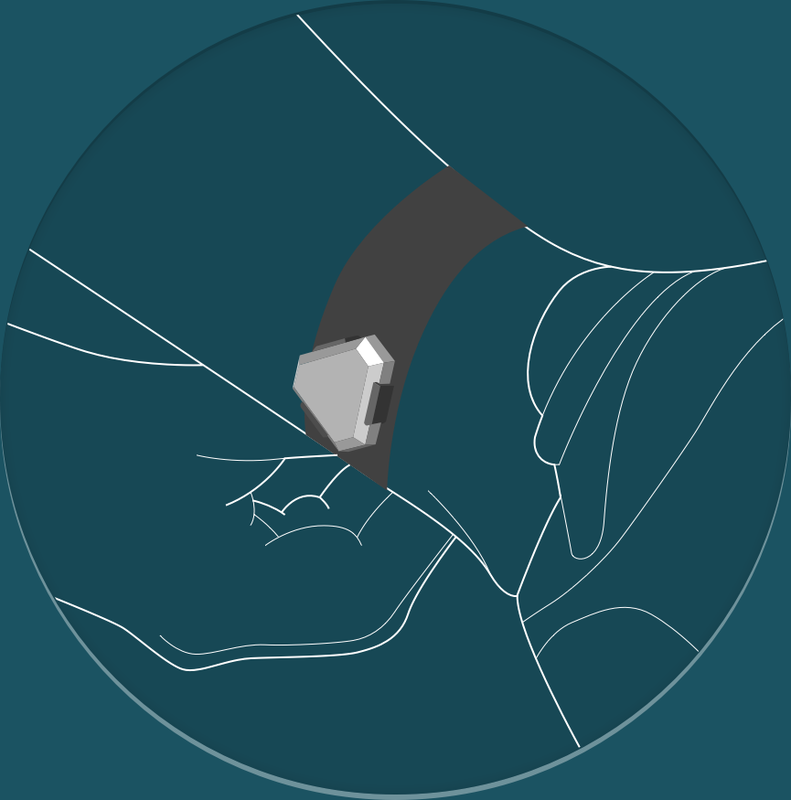 Your Notch kit has everything you need to capture the fine details of the motion of your body, enabling you to review and analyze how you move right on your smartphone in an interactive 3D environment. This document will guide you through the setup process, explain how to pair notches with your mobile device, outline how to calibrate notches and have you start capturing your motions using the Notch companion app. Download the Notch App, and then create a Notch account and register your notches before you start using your Notch kit. Download the Notch companion app from the Google Play Store. Create a new Notch account or login to an existing account. Now you are just a couple steps away from creating your first motion capture with Notch. Each notch has a physical button that can perform multiple functions. The button can turn the notch on and off, initiate recording or be used with the firmware update feature. 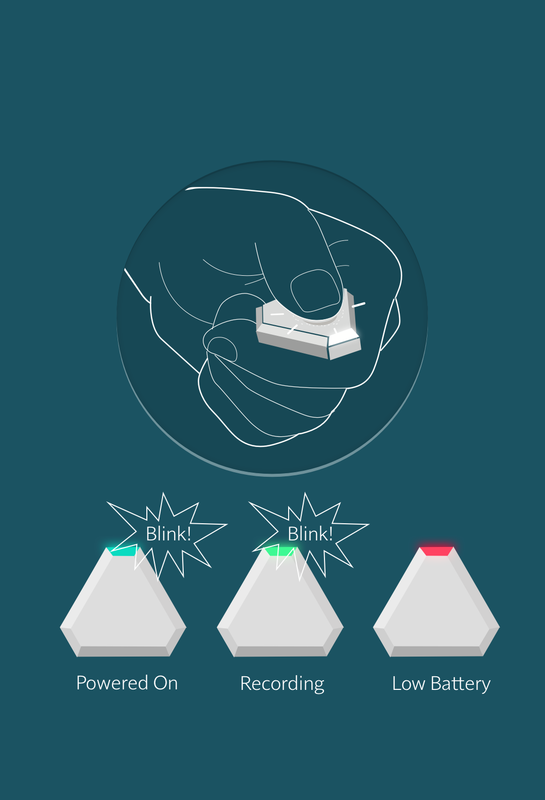 Take one of your notches and lightly press on its top – or squeeze it with two fingers until you hear a soft “click.” The LED of the notch will blink white. It’s on! Important! Do not use extra force when pressing the notch’s button. In case a device does not turn on, place it on the charger and wait for it to charge. You must pair and calibrate your notches before use. Every Notch module needs to be paired to a smartphone before use. You only need to pair your notches once per application. Pairing notches is easy: 1. Turn on one of your notches. 3. Open the app and tap the“Pair” button. 5. Wait for a notification from the app that pairing is complete. 7. Turn off paired notch. 9. Repeat steps 1-4 for each of your notches. Calibration is the process of adjusting the notches to take in account environmental factors. It’s a simple process, and for optimal performance, you should calibrate the notches at the very beginning of each recording session. You should also re-calibrate if you move from one location to another with significant differences in surroundings. For example, it would be a good idea to re-calibrate notches if you move from an indoor location to an outdoor location. Place all the notches into their slots in the dock and close the dock lid. Tap the “calibrate” button (left menu). Rotate the dock following the onscreen instructions in the app. Now that your notches are calibrated, it’s time to perform your first motion capture with Notch. Tap “Capture” and select the desired configuration from the list. 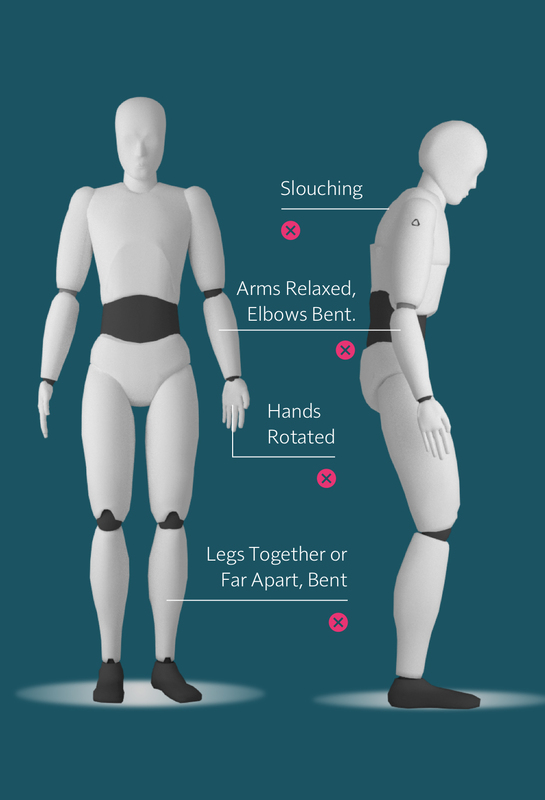 Configurations define which parts of the body to track, and each part of the body will determine how many notches to use and where to place them. Tap on the row to select the configuration that suits your needs. Important! Always adjust the straps on your body to ensure a tight fit. Make sure notches do not rotate and/or move during the motion to achieve proper capture and reconstruction. The LEDs on your notches will now light up with different colors. Each part of the body has its corresponding LED color and blinking pattern (continuous or blinking). The placement screen shows the relation between the notch LED and each body part. Put on the straps and place the notches into their mounts on the straps according to the color scheme. Place notches into the mounts with the white side facing outward. Important! Make sure all the mounts on your straps are facing forward (same direction). You need to perform a steady pose before the recording. The steady pose only takes a few seconds. Tap “steady” in the app and stand straight, keeping legs at shoulder width and stretching arms along your body. 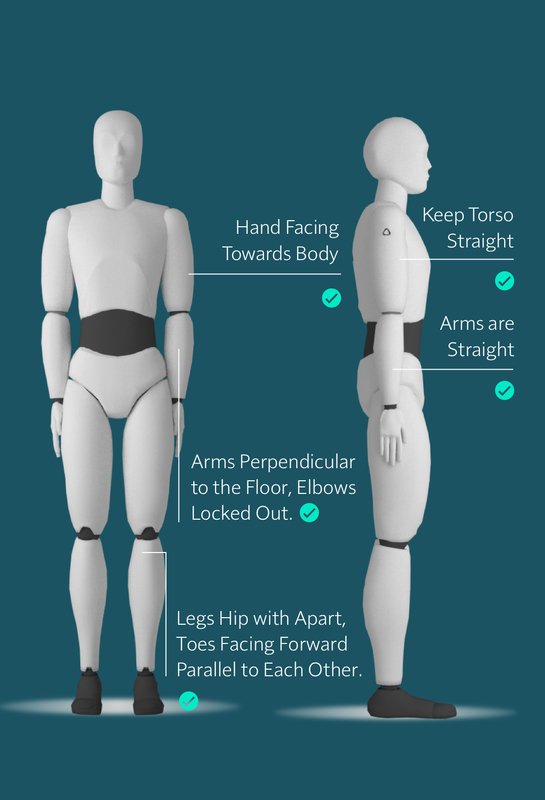 The app will notify you when the steady pose is analyzed. Important! When performing the steady pose, make sure your arms and legs are locked out and straight! Now you’re all set to capture some motion! Press “capture” and start moving. Press “stop” once you’re finished. The recording will be automatically downloaded to your smartphone upon completion. CAUTION: Do not start the capture during an active phase of movement (ie in the middle of a punch or a swing or while jumping). Begin your recording from a rest position. Make sure the rest position is at least half a second long. Specifics of the starting pose do not matter: you can start sitting, standing, lying and so on. Follow this simple tip to increase the quality of your recordings. You can set a time limit for the capture if you don’t want to manually use the app to stop recording or if you expect to be away from the smartphone when the recording is finished. The auto download feature determines if your motion data will be automatically downloaded once the recording has finished. Turning automatic download off can be useful if you want to download recorded motion later or if you are uncertain whether you would like to keep a particular recording. Once the movement is performed, you can tap the “Download” button to manually download and review the recording. Notches can receive enhancements and new features via software updates. Your Notch or “powered by Notch” app will notify you when such an update is available. Make sure your notches are fully charged before updating them! To function properly, all your notches must be updated with the same version of the software. You can check the version of your notches software in the“My Notches” tab of the Notch app. 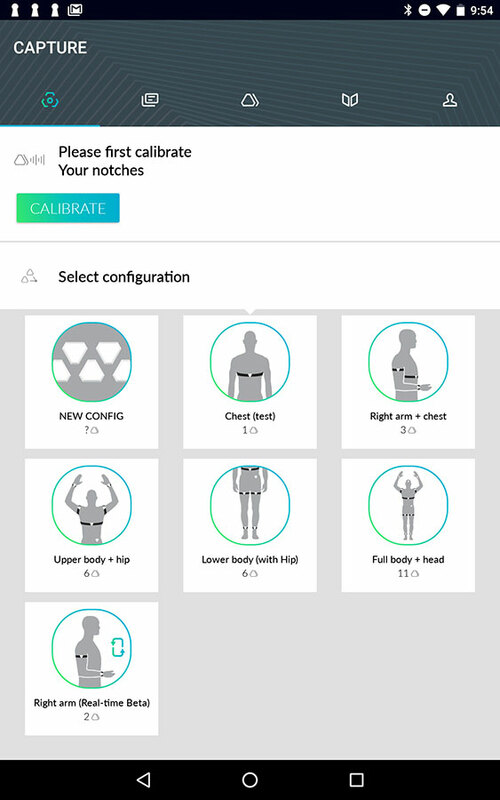 Measure the lengths of your body parts and enter the measurements into the app to enhance the Notch biomechanical model with your personal data. Using the real dimensions of your body will improve accuracy of your measurements. Go to My account > Profile Data > Advanced > Measurements Measure the lengths of your body parts with a tape measure and enter the values into the corresponding fields. 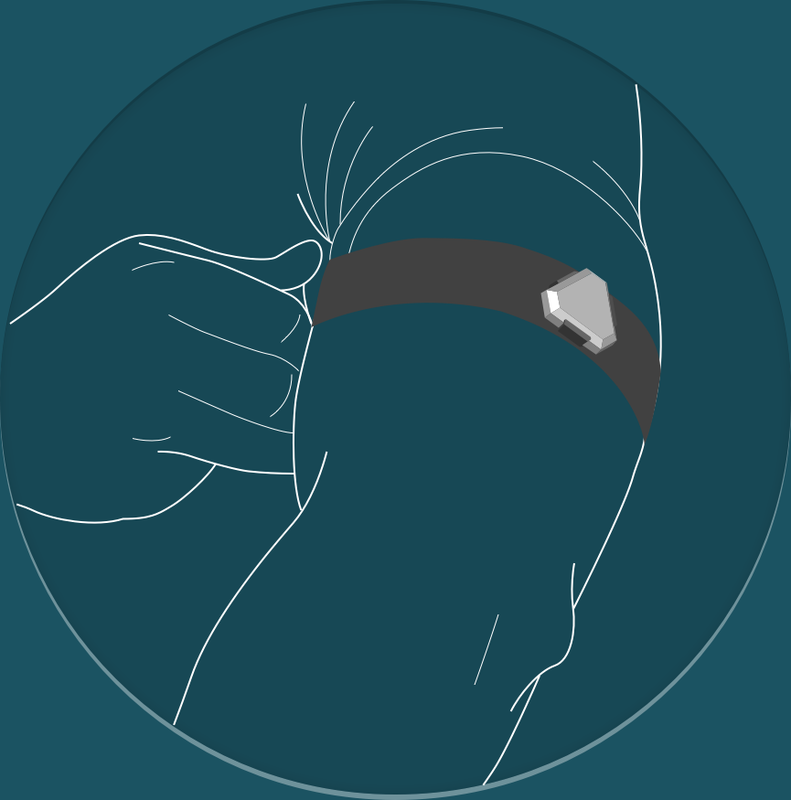 Tip: place sensors where you expect the least muscle movement during performed motion. For the most secure fit during acrobatic, long distance or high impact (wrestling for example) activities, attach notches to your body with kinesio tape. • Read these instructions. • Keep these instructions. • Heed all warnings. • Follow all instructions. • Do not attempt to open notches. Substances contained in this product and/or its battery may damage the environment and/or human health if handled and/or disposed of improperly. • Do not tamper with your notches. • Do not use abrasive cleaners to clean your notches. • Do not place your notches in a dishwasher, washing machine or dryer. • Do not expose your notches to extremely high or low temperatures. • Do not use your notches in a sauna or steam room. • Do not leave your notches in direct sunlight for an extended period of time. • Do not leave your notches near open flames. • Do not dispose of your notches in a fire. The battery could explode. • Do not attempt to disassemble your notches; it does not contain serviceable components. • Never allow children to play with the notches; the small components may be a choking hazard! The battery in notches can last up to 6 hours in active mode, alternating between recording and downloading data. 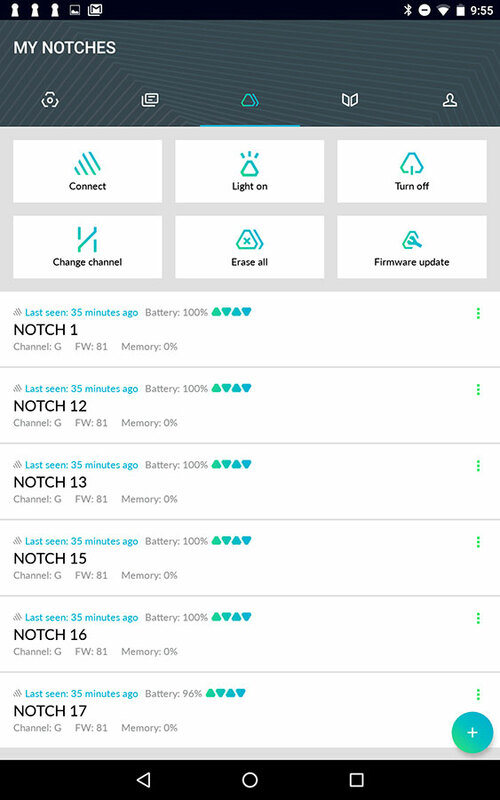 Notch will notify you of low battery life with a blinking red LED. To charge your notches, place them into the dock so that the charging pins on the bottom of the notch are touching the dock’s charging pins. 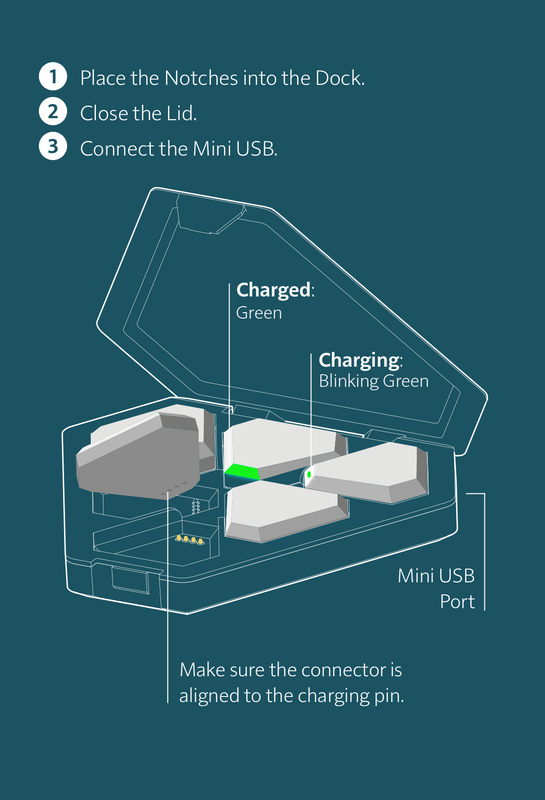 Plug the dock into a USB and your notches will be fully charged in 20 minutes. Notches can be charged only with the Notch dock. An external 5V USB power supply connected to the dock must provide over 0.5A current per plugged in dock to avoid damaging notches or dock. Note that a computer will charge your devices slower. Do not plug multiple docks (6+ sensors) in your computer simultaneously. CAUTION: USB ports in some computers may not meet the charging requirements; for best results, use an external 5V USB power supply. Important! Do not use anything other than the dock to charge notches. Do not put Notches or the dock close to magnets. Magnets will cause permanent damage to the notches and dock. Storing notches and dock next to equipment that contains real earth magnets such as speakers, tablets, computers and the like will also cause permanent damage to the device. Important! Damage from magnetic interference will void the warranty. Notches are water resistant (IP67) to the extent of being splash and sweat proof. You can even go swimming in the pool with them. However, submerging notches below one meter will result in permanent damage. Important! Do not put notches or dock in the washing machine, dryer, dishwasher or any similar machine. Do not dive with notches below one meter. Do not swim with notches in salt water. Damage from washing machines, dryers, dishwashers and the like as well as damage from submersion below one meter will void the warranty. Device operating temperature range: 0-40°C Device non-operating temperature range: -20°C - 65°C Device storage, long term (over 1 week): 15-25°C, 80% charged state Important! Do not expose your notches to extremely high or low temperatures. Do not use your notches in a sauna or steam room. Do not leave your notches in direct sunlight for an extended period of time. • Do not leave your notches near open flames. You can wash Notch straps with soapy water. To wash your notches, please follow these instructions: Rinse off notches in tap water after heavy sweating or after a swimming session. Pay special attention to rinsing the connector. Do not drop the device from above one meter. • Do not attempt to disassemble your notches or dock; they do not contain serviceable components. • Do not tamper with your notches or dock. • Do not use abrasive cleaners to clean your notches or dock. 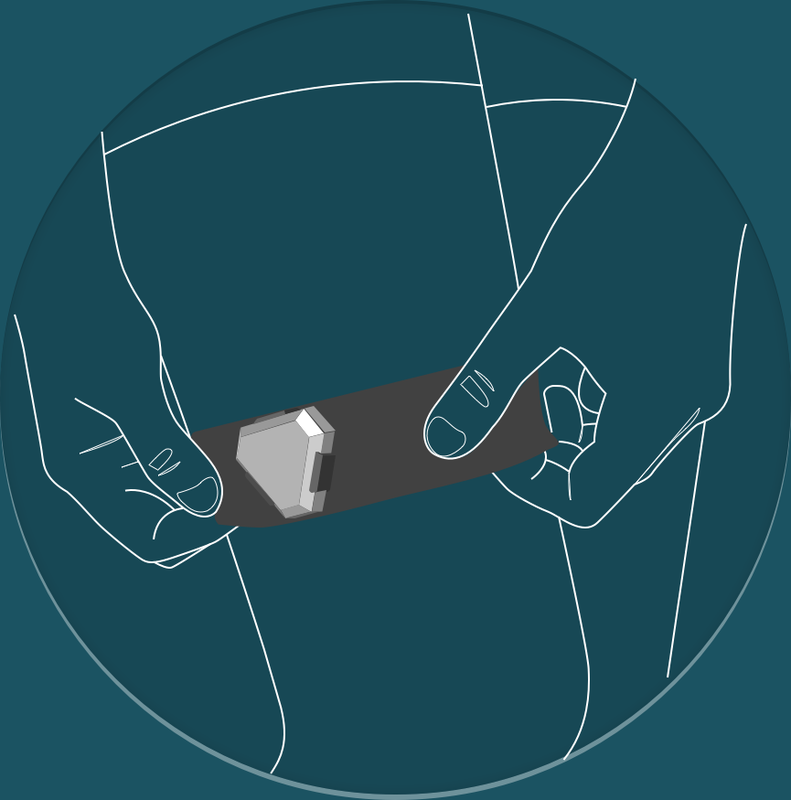 Notch kit contains small parts which can be a choking hazard. Do not give notched to kids under three years of age or pets, as small components may be a choking hazard! We are not responsible for any lost or damaged items. We encourage you to report any loss or damage in your Notch App / My Notches. Do not dispose of notches or dock with household waste. Batteries are not to be disposed of in municipal waste stream; they require separate collection. Disposal of the packaging and your notches should be done in accordance with local regulations • Do not expose notches or dock to a fire. The batteries inside the notches can explode. Visit http://wearnotch.com/warranty for further information. This equipment has been tested to comply with safety certification in accordance with the specifications of EN Standard: EN60950-1:2006 + A12: 2011.